The Tinkers Shed in Nuriootpa S.A.
What is the Tinkers Shed? It is the Lions Club of Barossa Valley development of a Men’s Shed. The Tinkers Shed is a community facility that can be used by anyone who needs space and access to machinery to undertake a project – making some object or renovating an object – or undertaking some type of craft work. They can also chat, share skills, learn new skills, swap ideas, solve problems or just discuss life in general. People can be a member and use the facilities any time or just be a visitor for the day and attend whenever they have a need. The facilities at present available are mainly for working with wood. This is by far the biggest project undertaken by the Club in terms of the setup cost, the operating cost, the time spent on construction and workshop setup, and particularly the ongoing commitment by Lions in workshop supervision and maintenance. The Shed is 9 metres by 24 metres and was built and equipped as a project of the Lions Club of Barossa Valley with very significant donations from a large number of businesses and individuals. The project is also supported by the Barossa Village Inc on whose land the Shed is built. The Shed has been open for business for five years and is continuing to grow in popularity. It is open every Tuesday 9am to 4pm and on Wednesday morning when it is used to provide occupational therapy to residents of the Barossa Village and Tanunda Lutheran residential care homes and people on home care packages. Besides the individual jobs that are undertaken in the Shed there have been two significant projects undertaken. 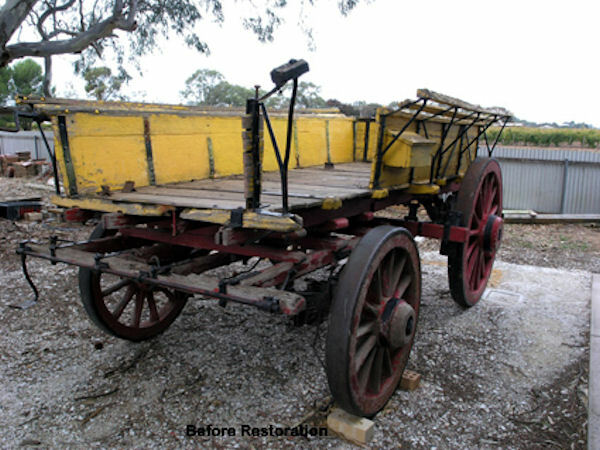 The first and very large one was the restoration for The Barossa Council of a nineteenth century wagon formally used around Angaston to transport materials and then on a local farm. Subsequently it was displayed in a local park. It had deteriorated significantly and therefore required an almost complete rebuild above the chassis mirroring the original design. 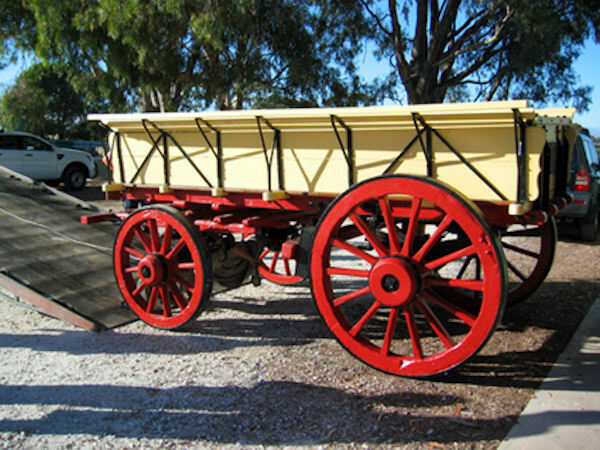 It is intended that it will be placed again on public display in Angaston. 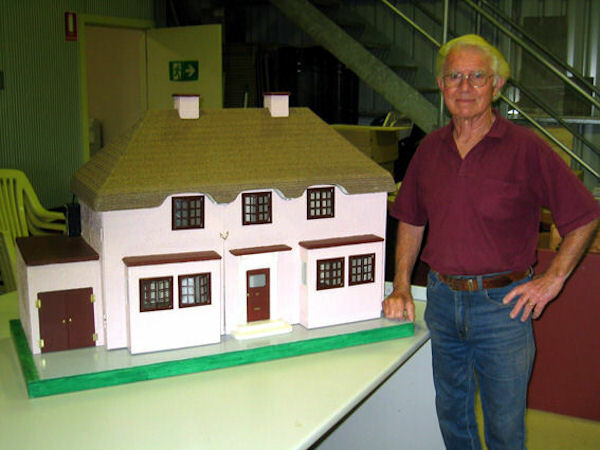 The second project was much smaller and was the restoration of an old (circa 1930s) two story dolls house. This involved the stabilisation of the structure, the fixing onto a new base plate and stripping of all surfaces. New roofing, flooring, painting and lights completed the job which was then returned to the delighted owners. Now Shed users are developing a number of products that can be sold to help fund the ongoing operating costs. Two of these products are already being made – one is a 40 year calendar on a turned wooden block that has provision for engraving. The second product is a “Chairman’s” gavel and sound block. Both of these items are ideal to be used for presentations. The Tinkers Shed along with all men’s sheds provides an invaluable vehicle for the promotion and awareness of health and emotional issues that tend to affect many people particularly after retirement. It is not uncommon for men to become disconnected, withdrawn and socially isolated after their working lives. Often they have moved from their family homes into a unit or retirement facility and have lost the much loved shed that they once had in their former backyards. At the Tinkers Shed we see friendships made, people helping each other, jocular comments and laughter. The usual cuppa and enjoying lunch together are all factors leading to great camaraderie. We are provided with information relating to men’s health from many organizations. These issues include mental and emotional health advice from Beyond Blue, prostate health, heart, blood pressure and stroke, healthy kidney function, organ donation and sleep disorders including sleep apnoea. Brochures and books are always available at the shed for anyone attending and this encourages awareness and informal discussion among our group. It has been said that “women talk face to face” and “men talk shoulder to shoulder”. How very true and beneficial this is. As a result of our awareness of life threatening issues, the Barossa Valley Tinkers Shed is equipped with a cardiac defibrillator. The Lions Club of Barossa Valley funded this equipment for our shed. Our members had an instruction session on the use of the defibrillator along with CPR. We hope that we never have to use it, but should it be necessary it may very well save a life. 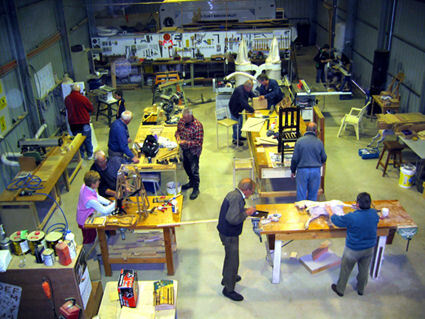 We network with other men’s sheds and we have had several of these groups visit the Tinkers Shed. The purpose of the Tinkers Shed is to provide a facility in our community where every person can be active, creative, learn and improve their skills and feel satisfied with their accomplished projects. We promote safety awareness along with health awareness in a friendly supportive atmosphere.